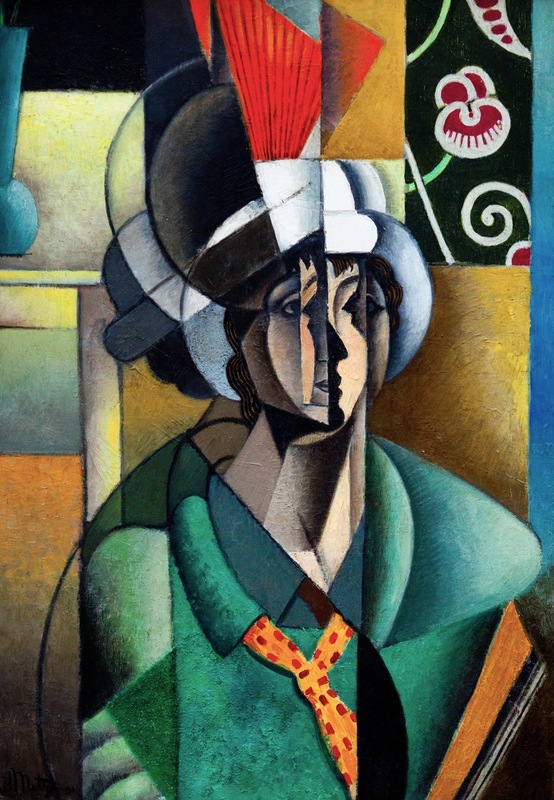 Femme au miroir / Woman with a Mirror, Femme à sa toilette or Lady at her Dressing Table, is a painting by the French artist** Jean Metzinger**. 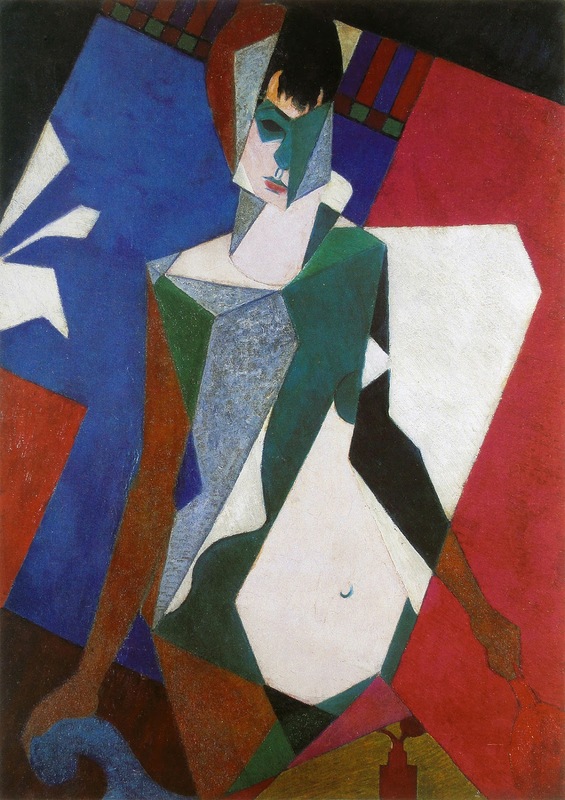 This distilled synthetic form of Cubism exemplifies Metzinger's continued interest, in 1916, towards less surface activity, with a strong emphasis on larger, flatter, overlapping abstract planes. The manifest primacy of the underlying geometric configuration, rooted in the abstract, controls nearly every element of the composition. The role of color remains primordial, but is now restrained within sharp delineated boundaries in comparison with several earlier works. 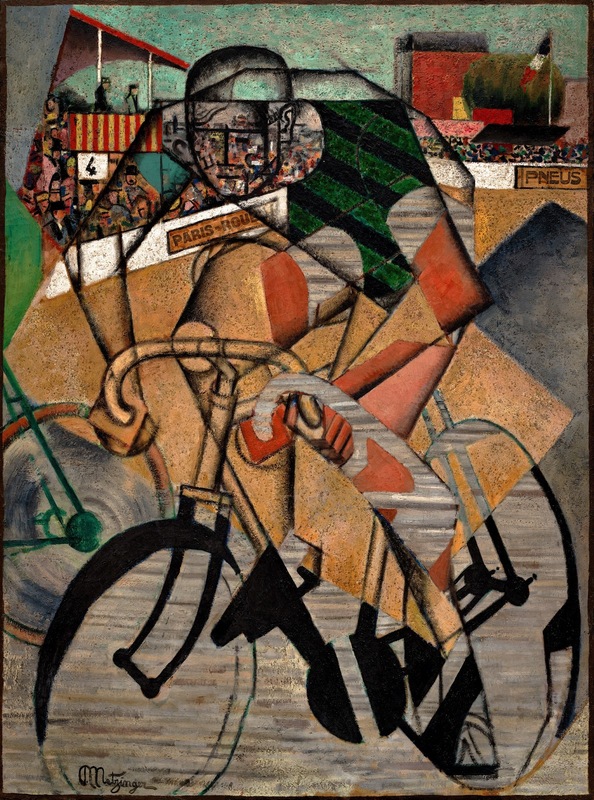 The work of Juan Gris from the summer of 1916 to late 1918 bares much in common with that of Metzinger's late 1915, early 1916 paintings. 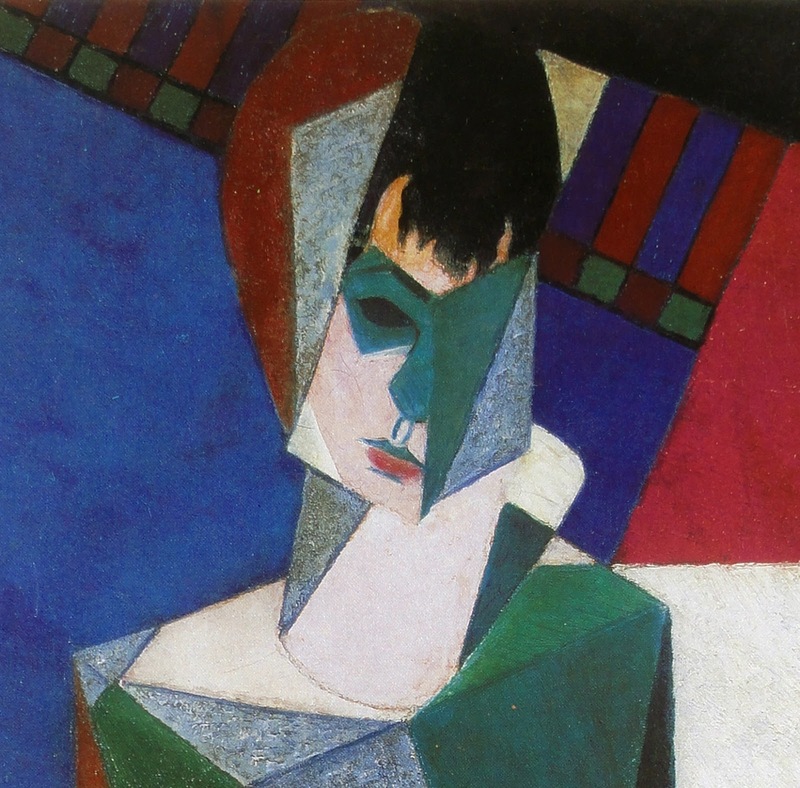 Painted during the spring of 1916, Femme au miroir formed part of the collection of Léonce Rosenberg, and was probably exhibited at Galerie de L'Effort Moderne in Paris. 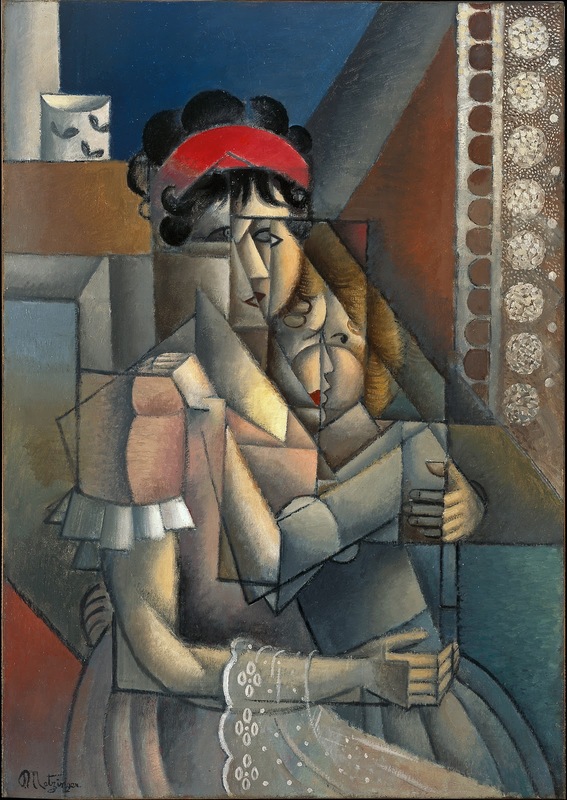 In 1918, the painting was shipped to New York City for the occasion of the Léonce Rosenberg collection auction. 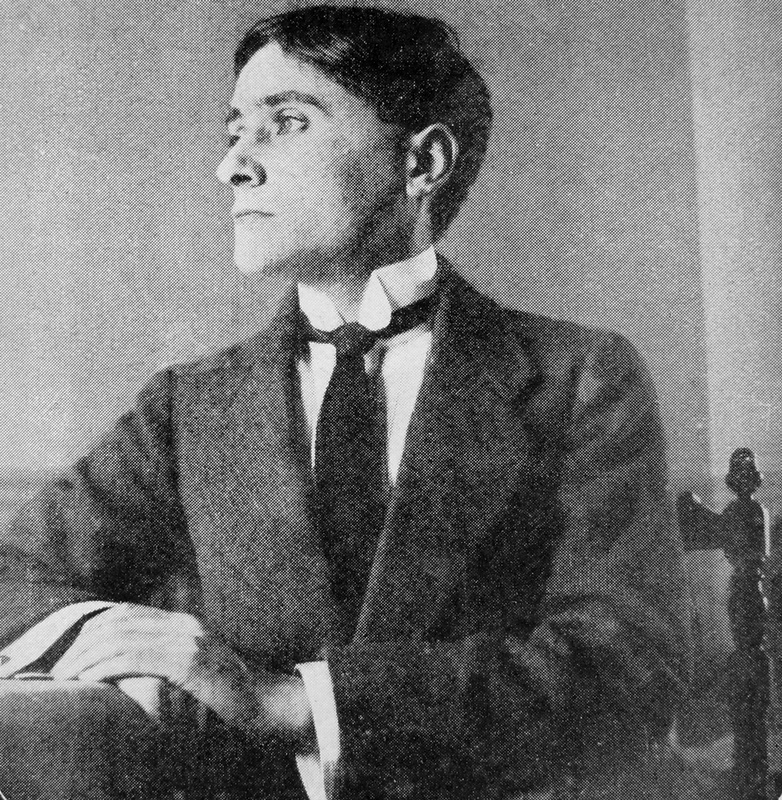 For the same occasion, Femme au miroir was reproduced in The Sun, New York, Sunday 28 April 1918. 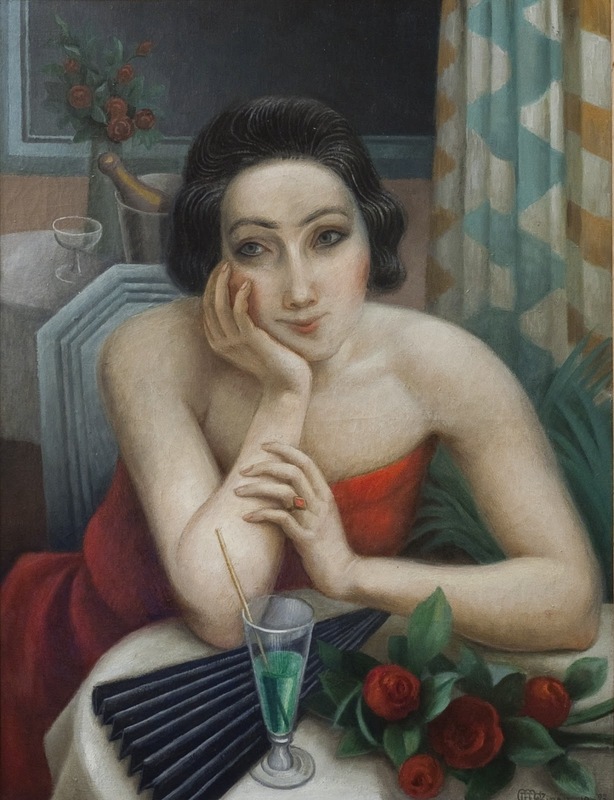 The painting was purchased in New York City (at the auction or afterwards) by the American art collector John Quinn, and formed part of his collection until 1927. 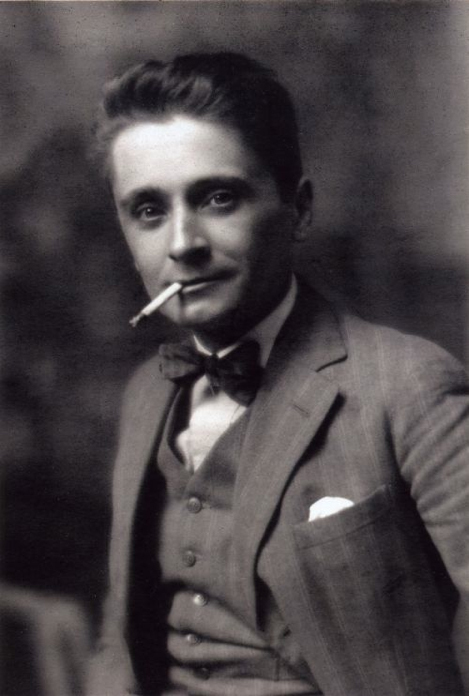 Jean Metzinger**, nato come Jean Dominique Antony Metzinger, (Nantes, 24 giugno 1883 - Parigi, 23 novembre 1956), è stato un pittore, scrittore e poeta Francese**. I suoi primi dipinti appaiono influenzati dal neoimpressionismo** di Georges Seurat** e Henri-Edmond Cross**. 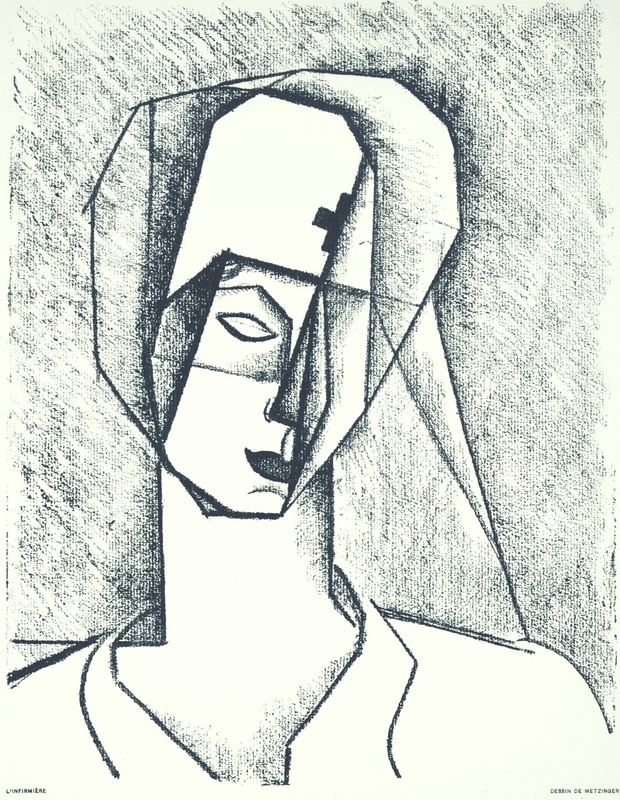 Fra il 1904-1907, Metzinger dipinse secondo l'influenza del divisionismo e del fauvismo, mentre dal 1908 abbracciò il cubismo sia come artista che uno fra i principali teorici della corrente pittorica. 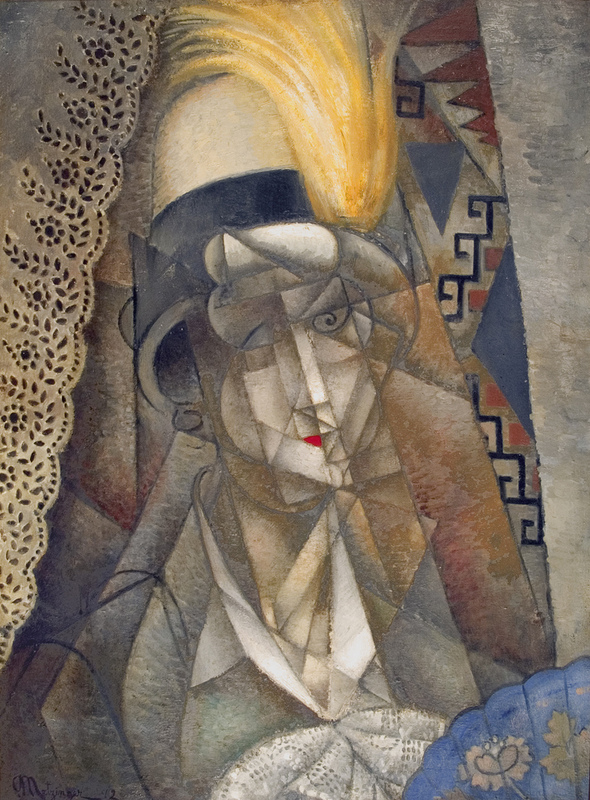 Jean Metzinger** ed Albert Gleizes scrissero il primo importante Trattato sul Cubismo nel 1912 e Metzinger fu uno dei membri fondatori del gruppo di artisti chiamato Section d'Or.